Want to know how to design, create, and deliver better safety training at work? Effective safety training? The kind of safety training that has a real effect on incident rates, driving them down? That contributes to a healthier, safer work environment? We’ve got a pretty simple, six-step formula for success for you to follow in this article. 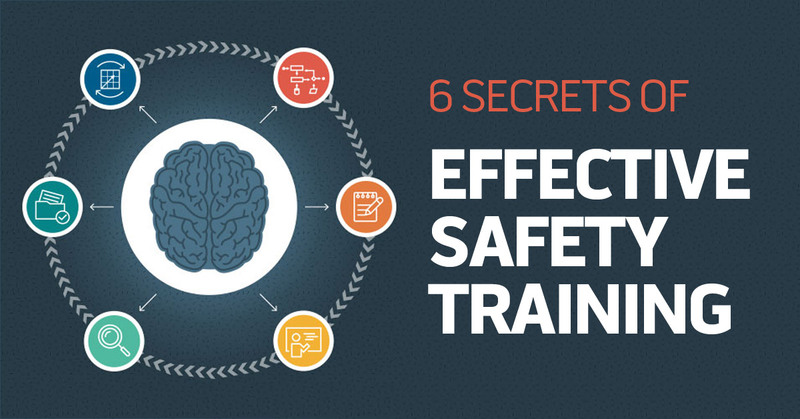 Follow and put these six steps at work with your own safety training and you’ll watch your safety training program become more effective right before your own eyes. And as a result, your safety and health program will benefit as well. And that’s what we all want, right? We’ve explained each step in some detail below. Enough to get started if that’s all you’re looking for. But we’ve also included links to more complete articles on the six different steps if you really want to dive deep. That’s not all, though. We’ve also included a free Guide to Effective Safety Training download for you. Now, let’s see how you can create more effective safety training at your work. Potential customers often ask if we can provide reasons to add online safety training to their current workforce safety training program. It’s a good question. Why just jump into a new thing if you don’t know if it will benefit your safety program or what those benefits will be? Exactly how will adding online safety training help employees, managers, and the business as a whole? In this article, we’ve laid out 8 solid reasons to add online safety training at work. This should show you how you’ll benefit. Our list will include some things you might have thought of already, plus some things you may not have thought of. And let us know if you’d like to set up a preview or demo. Ready to pitch online safety training to your boss at work, but not quite sure how to frame your argument? In this article, we’ve got the information you need to make a convincing case. Once you’ve got the OK from the boss(es), you can then begin searching for and evaluating the online safety and health training solutions that work best for your company. Our recorded How to Compare Online Safety Training Systems webinar will help with that, and so will our free Online Safety Training Buyer’s Guide Checklist. But that’s the next step. For now, let’s get started on arguments for pitching online safety training to the boss. You have to get the OK first, right? Use the comments section at the bottom if you’ve got any questions or if you’ve got some ideas of your own about this. And notice we’ve put the free Online Safety Training Buyer’s Guide Checklist download button at the bottom of this article, too. 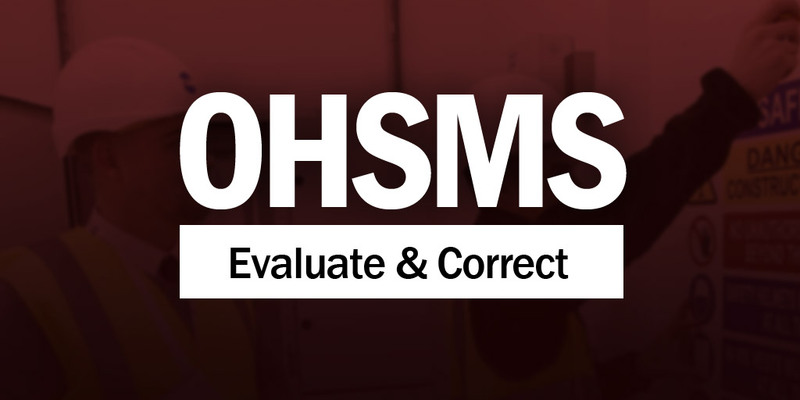 Here’s another article in our series about occupational health and safety management systems (OHSMS). In this article, we’re going to explain what to do once you’ve implemented your OHSMS, it’s in operation, and you want to monitor it, evaluate the performance, and make any corrections necessary to improve results. As a reminder, this entire series is based on ANSI Z10 (2012), the ANSI/ASSE standard on occupational health and safety management systems. We encourage you to buy a copy, which you can do here. In a recent article, we explained two primary types of online safety training solutions. They were on-demand online safety training and online safety training administered with a learning management system (LMS). In this article, we’re going to give you a quick breakdown of the pros and cons of types of online safety training solutions. Keep in mind that we are by necessity generalizing about different individual online safety training solutions that belong to either of the two types. Within each type, you’ll find different solutions that offer entirely different features or the same features that perform in different manners. We discussed that in more detail in the article mentioned and linked above. Also keep in mind that although we’re presenting this information in a pros and cons format, that doesn’t mean there’s any one system that’s automatically best. 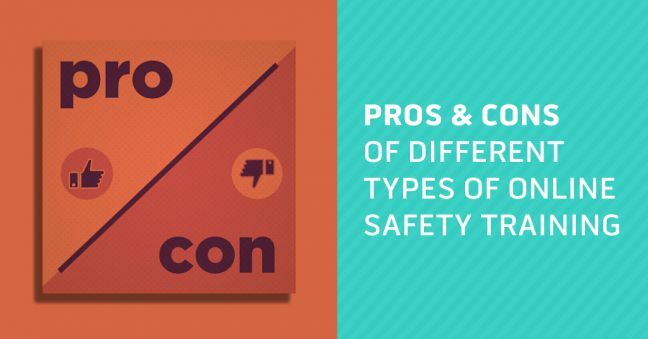 The purpose of knowing the two different basic types and knowing some of the pros and cons of each is simply to help you begin to find the type of online safety training that works best for you company today and in the future as well. In this article, we’re going to walk you through six steps of evaluating different online safety training solutions–this includes online safety training courses, online safety management management systems (typically known as a learning management system or LMS), mobile apps and mobile safety training, and the online safety training providers. You can use this as a roadmap for moving through the evaluation and purchasing process. Kind of like an online safety training buyer’s guide. So if you know you want to make the investment in online safety training at work, and you just need some help figuring out which system to go with, here’s your one-stop-shopping guide. If you’d rather not read all this, we have much of the same information for you in this recorded webinar on evaluating online safety training. And, we’ve also got a free online safety training buyer’s guide checklist for you that covers some of the same ground as the article below. 2016 was a horrible, injurious, and deathly year for trenching and excavation accidents, and as a result we’re drawing together some sobering statistics, trenching and excavation training materials, and additional trenching & excavation informational resources for you. 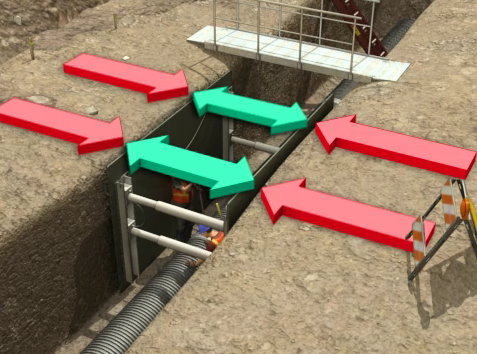 Let’s hope that things turn around in 2017 and we see NO injuries and fatalities related to trenching and excavation. But if that’s going to happen, we’ve all got some serious work to do to reverse trends not just from 2016 but from the past five years, as the data below will show you. We’ve published a new article in a series of articles related to safety training in the January issue of Professional Safety, the official magazine of the American Society of Safety Engineers (ASSE). 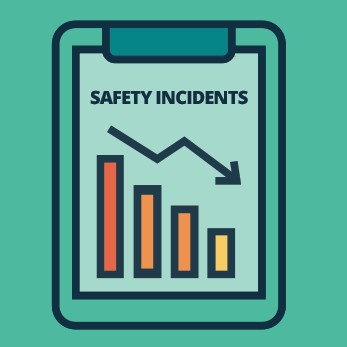 Each of the articles provides tips for better safety training, and they all take as a starting point different key parts of the ASSE/ANSI Z490.1 standard on Effective Safety Training. In this particular article, we focused on using learning objectives for safety training. To stay up to date with this series and a lot of great safety information, check out Professional Safety magazine and of course the ASSE/ANSI Z490.1 standard for Effective Safety Training. Also, you might be interested to learn that ASSE and ANSI are putting together ANSI Z490.2, which will deal with online or “virtual” safety training. We’re on the committee to help create that–here’s our latest article about the development of ANSI Z490.2 for Online Safety Training. Finally, we’ve got some safety-training-related freebies for you. 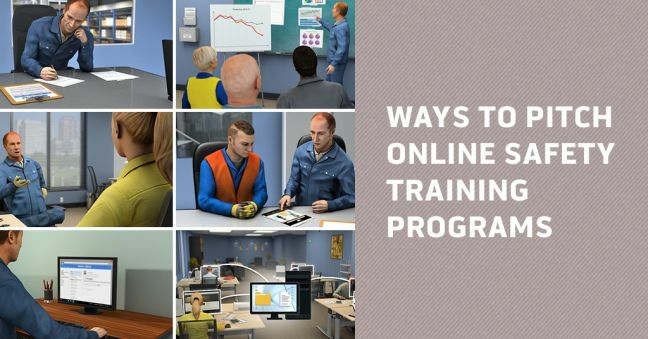 To learn more about blended safety training, download our free Beginner’s Guide to Blended Learning by clicking the link you just past or download our free Guide to Effective Safety Training, which is based on Z490.1, by clicking the large download button at the bottom of this article. What are your thoughts about online safety training? 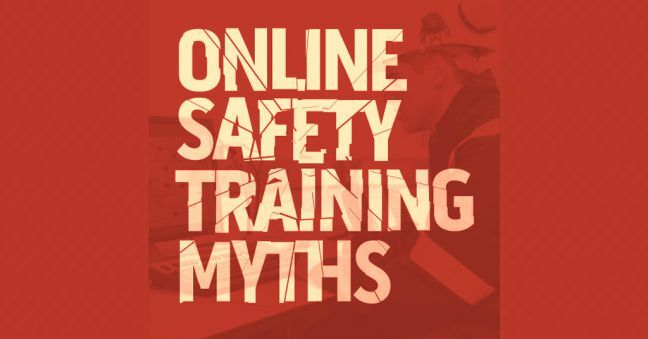 Do you think you believe any online safety training myths? 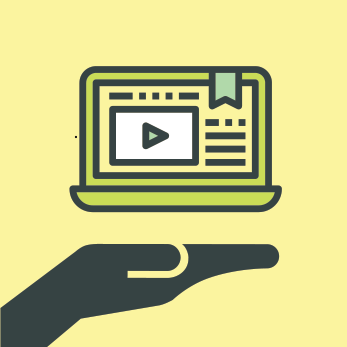 If you’re like a lot of folks, you’ve got some specific ideas about online safety training. Some of those may be spot-on. But others may be a bit off-target. Maybe even myths. We’re going to take a closer look at some myths about online safety training and do a little mythbustin’. Put on your PPE and follow along. You probably try to improve your workplace safety record every day you’re at work. But it’s natural to give that a little more thought around the end of the year, when you’re creating some plans and goals for the next 12 months. If you ARE thinking about improving your safety record next year, there are a number of things you could do. Maybe you’ll implement a safety and health management system, for example. That would be a good idea. And maybe you’re thinking of improving your safety training. That would be a good idea, too. After all, safety training is a leading indicator for workplace safety. In this article, we’re going to show you a few ways that adding online safety training at your workplace can help you create a safer, healthier workplace. Beyond that, we encourage you to download our free Guide to Effective Safety Training, which you can get by clicking the link you just read past. We’ve also got a second free guide that explains some real-life benefits that customers of ours have experienced after adding online safety training programs at work–that’s at the bottom of this article. 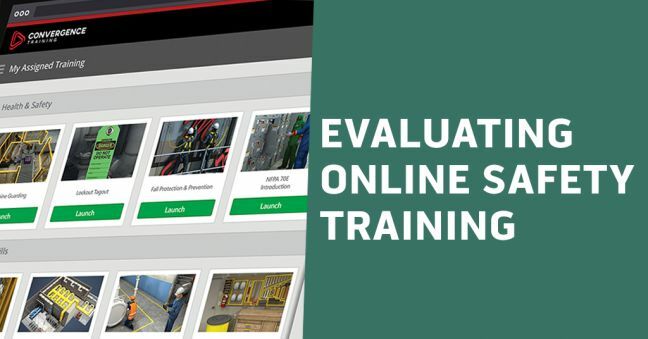 If you’re thinking of adding an online training element to your current safety training program, you may be wondering how you can use your new online training capabilities. Exactly how might you use your online employee safety training? 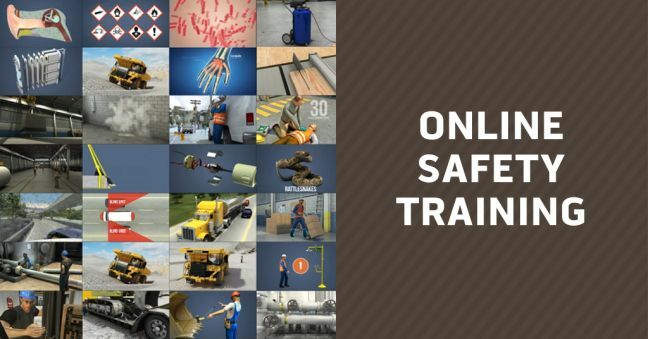 And by that, we mean different what are the different options about when and how your employees would view and complete the online training within the entire safety training program? 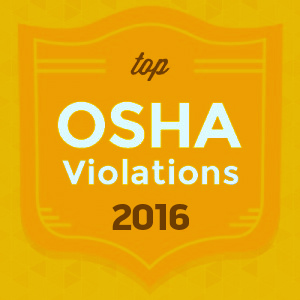 Back in October, at the National Safety Council’s annual Safety Congress, we got our first look at OSHA’s Top Ten Violations list for 2016. We covered that for you in an earlier blog post. But every year, OSHA follows up that initial announcement with a second announcement that includes a lot more data. That information is out now, and we’ve got it for you below. Remember that in a lot of cases, these violations can be avoided with proper safety and health training at your workplace.